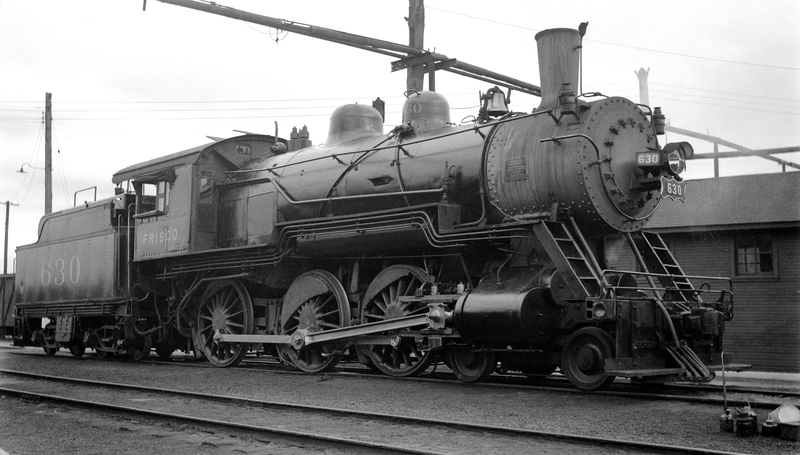 4-6-0 630 at Enid, Oklahoma on April 13, 1938 (Ralph Graves). 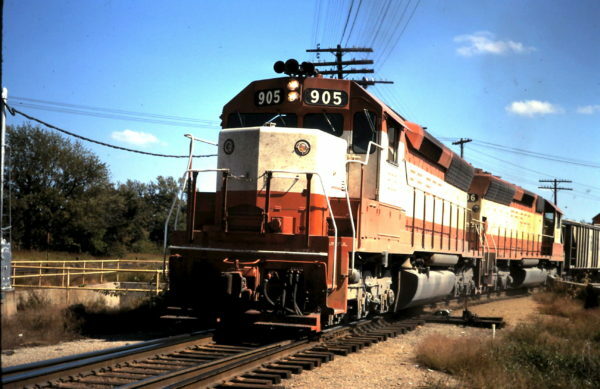 SD45s 905 and 906 (date and location unknown). 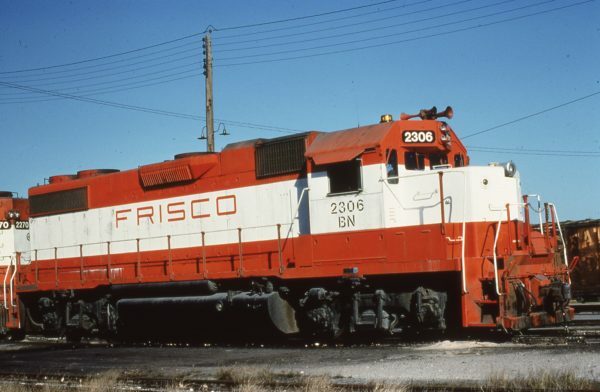 GP38-2 2306 (Frisco 451) at Fort Worth, Texas (date unknown). This was shot in the mechanical department’s locomotive service tracks area at West Yard. Also identified in this view is GP38-2 2270 (Frisco 415). 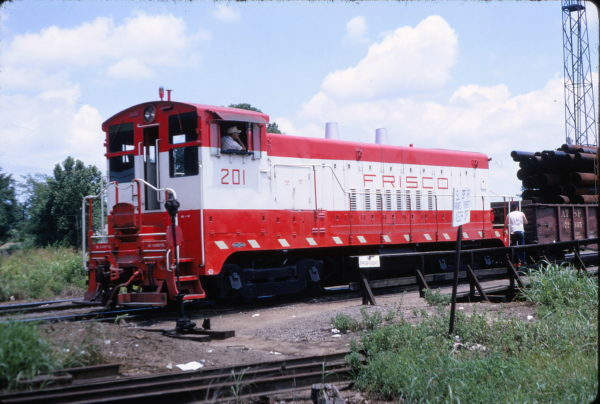 VO-1000 201 (location unknown) in June 1967 (Keith Ardinger).